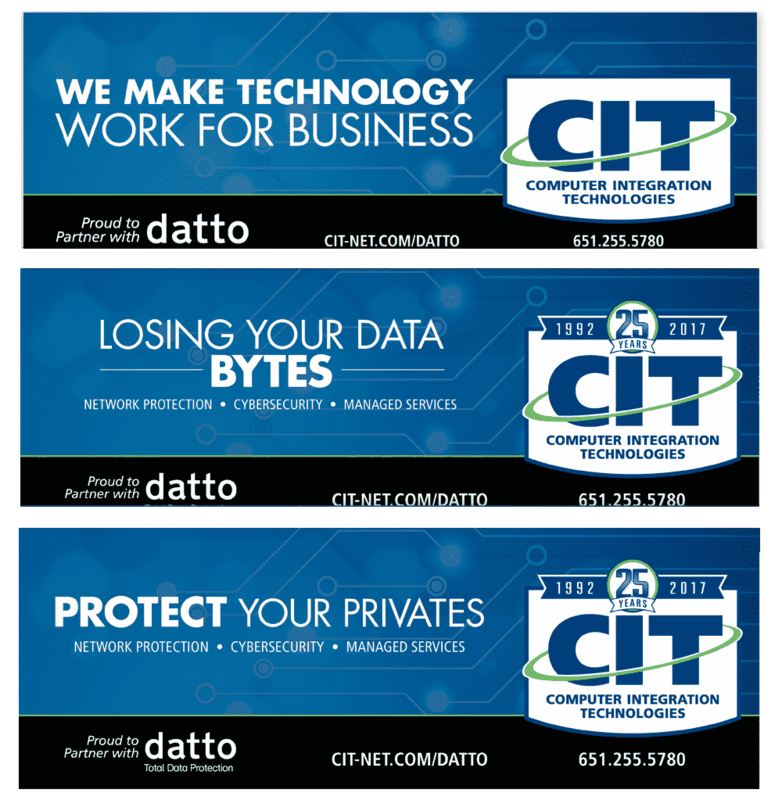 Rebranding CIT to focus on people, hardware and software technology for everyone. 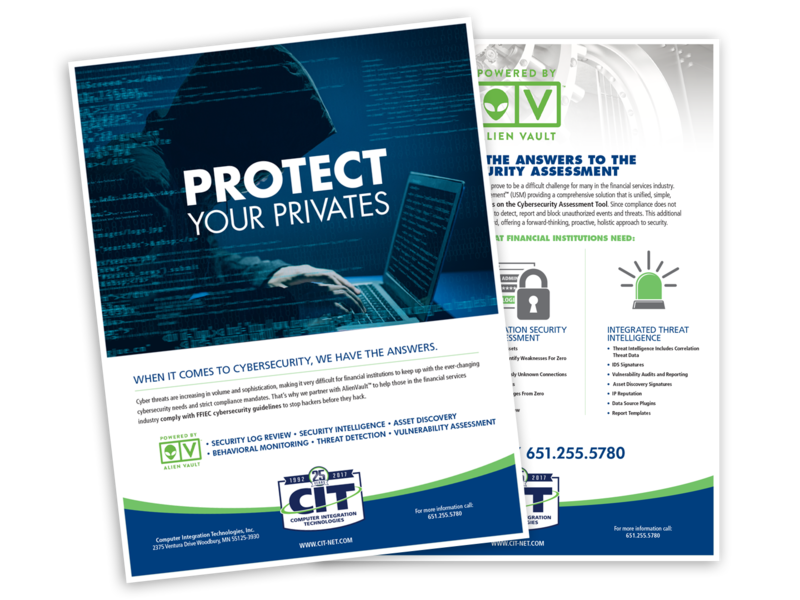 Over 6 years ago CIT was referred to us for a rebranding. We started with our rebranding personality workshop and together we created a unified voice message and tone and then began implementing that voice throughout their internal and customer facing communications. As part of the rebranding we updated their logo and visually rebranded the organization through signage, identity materials, brochures and much more. 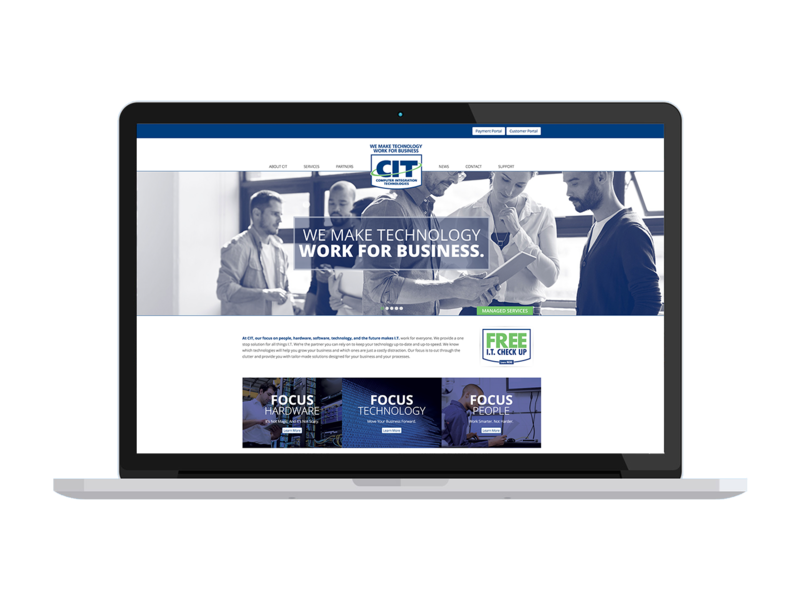 While working with CIT we’ve become their outsourced CMO and in that role managed every aspect of their brand including Web, outdoor media, direct mail, events and lead generation. 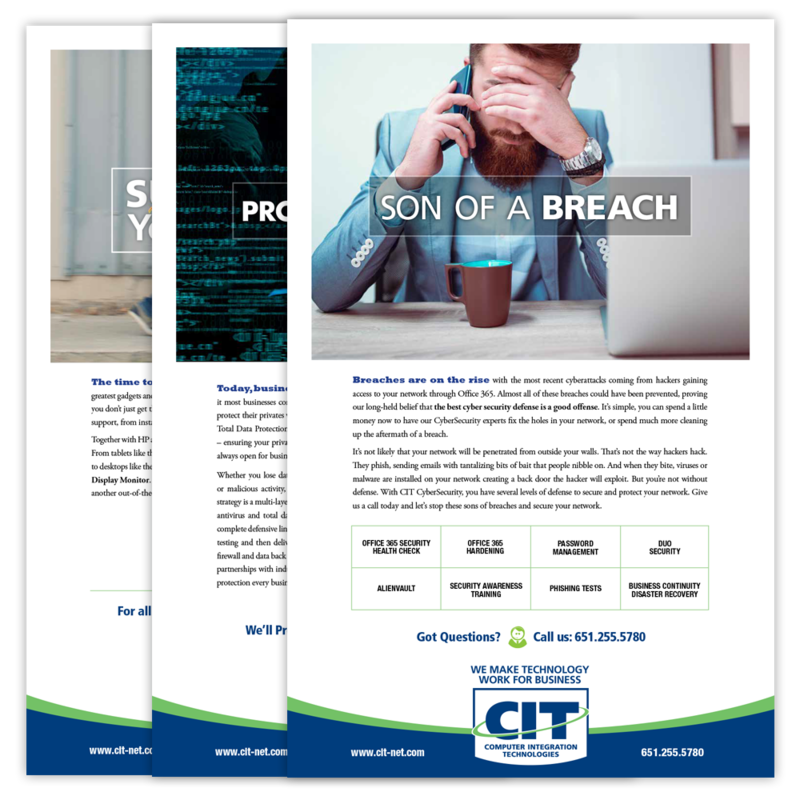 At CIT, their focus on people, hardware, software, technology, and the future makes IT work for everyone. They provide a one stop solution for all things IT. They’re the partner you can rely on to keep your technology up-to-date and up-to-speed. They know which technologies will help you grow your business and which ones are just a costly distraction. Their focus is to cut through the clutter and provide you with tailor-made solutions designed for your business and your processes.